We can add yet another one to the long list of benefits that come from eating chocolate. A new study from Harvard found that the flavanoids in cocoa had a remarkable effect on age related memory loss. A controlled, randomized trial, involving healthy older subjects who consumed either a high or low cocoa diet for three months found that those consuming more flavanoids scored on average as if they were 20 to 30 years younger on cognitive tests compared to those consuming fewer! The news story included the usual caveat that chocolate contains a lot of sugar and bad fats and should only be eaten in moderation; however, the sugar in chocolate is totally optional and at least some of its amazing, health-enhancing properties are likely because of the natural saturated fats it contains and not in spite of them. Below is my contribution to help you get more of this miracle food into your diet. It is truly nature’s most delicious medicine! Preheat oven to 325 degrees F. Grease a 9-inch pie plate or tart pan with a removable bottom. In a medium bowl, whisk together the nut flour, coconut flour, sweetener, baking powder, and salt. Stir in the melted oil or butter, low-carb milk, and vanilla. Continue to stir and mix for a few minutes or until the mixture forms a stiff dough that holds its shape when molded. 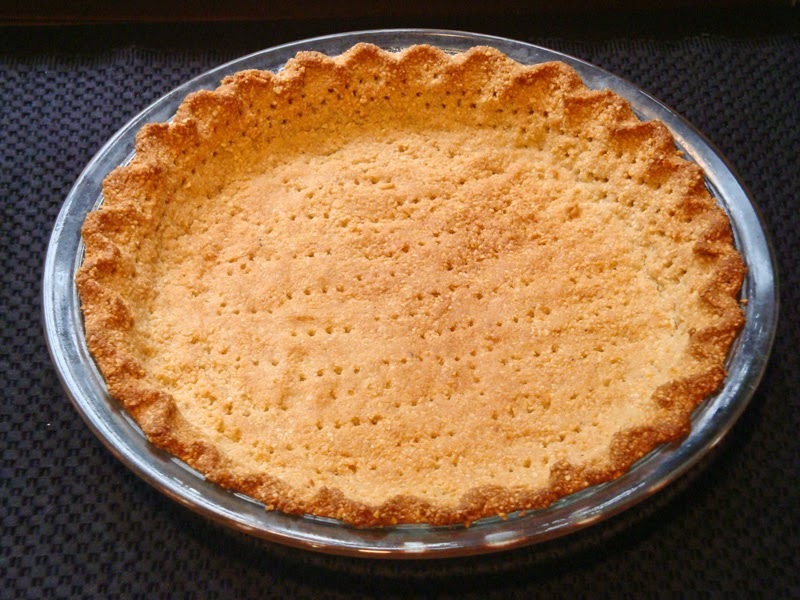 With greased fingers, press dough into bottom and up sides of greased pie or tart pan. Level off the top of the edges and crimp to make a decorative rim. Prick crust with a fork to prevent buckling, but do not prick all the way though to prevent leaking. Place crust in preheated oven and bake for about 10 minutes. Cover edges with pie shields or foil to prevent over-browning and continue to bake for 5 to 10 minutes more or until crust is nicely browned all over. Remove from oven and let cool. In a medium saucepan, place coconut or dairy cream, low-carb milk, and salt. Heat to a simmer over medium heat. Add sugar substitute and stir until dissolved. Turn off heat and add vanilla extract. Add chopped chocolate and let sit for about 5 minutes until melted. Stir until smooth. Pour filling into baked crust and refrigerate until set, about 2 to 3 hours. Let pie warm up at room temperature for 15 minutes or so before serving. Top with whipped cream or Greek yogurt sweetened with sugar substitute and garnish with grated chocolate if desired. Cut into 12 to 16 small slices to serve, as it is very rich! Sweetener is not included in data counts, as it may vary depending on type used. *Sugar substitutes with bulk include erythritol, Swerve, Xylitol, Just Like Sugar, Sweet Perfection, LC-Sweet, Natural Mate, polydextrose, and blends of erythritol, oligofructose, or inulin with stevia, monk fruit, or sucralose, among others. Check the packages to see sugar equivalent of each one. The combination of chocolate and sucralose tastes very bitter to some people, so you might want to avoid any sweetener that includes it in this recipe. 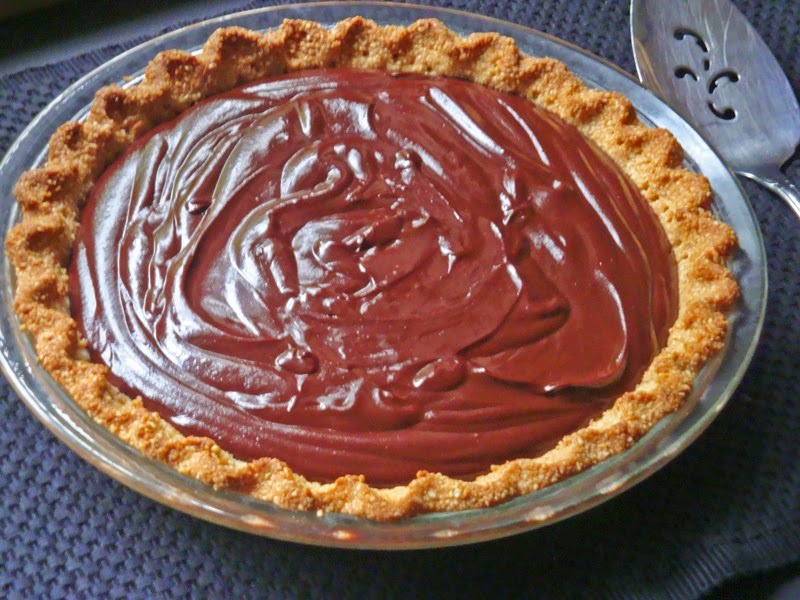 Chocolate, Gluten-free Pie Crust. Bookmark.